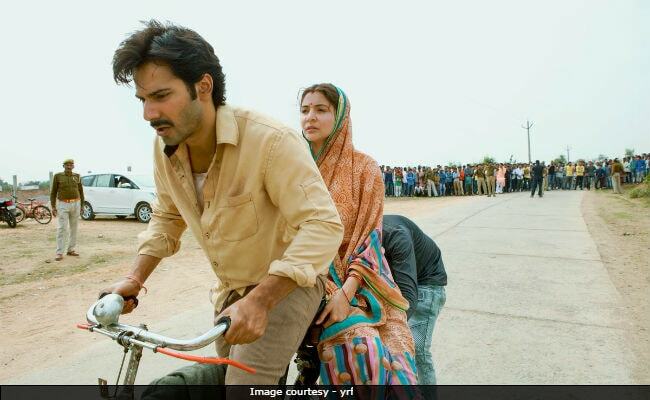 Actor Varun Dhawan as 'Mauji' cycled in the bylanes of Chanderi with Mamta (Anushka Sharma) riding pillion for nearly '10 hours in the sweltering heat'. The duo was shooting a sequence for their forthcoming film Sui Dhaaga. The official Twitter handle of Yash Raj Films posted a picture of them from the sets and wrote, "Mauji takes Mamta for a cycle ride! Anushka Sharma rode pillion as Varun Dhawan cycled for close to 10 hours in the sweltering heat at Chanderi. Sui Dhaaga." At present, the Sui Dhaaga team is shooting the film in the Chanderi district of Bhopal, Madhya Pradesh. In Sui Dhaaga, Varun Dhawan's character Mauji will reportedly be playing the role of a tailor. Lately, several pictures and videos of Anushka Sharma and Varun Dhawan had surfaced on the internet. Anushka Sharma and Varun Dhawan have teamed up for the first time in Sui Dhaaga. Speaking of their pairing, Varun had told news agency PTI, "Anushka and I are teaming up for the first time so I am sure there will be fireworks." While, Anushka revealed it to PTI that Sui Dhaaga is a 'story about self-reliance, which will connect with every Indian.' The Sharat Kataria-directed film is slated to release in September 28. Anushka Sharma was last seen in Pari, which was released on March 2.